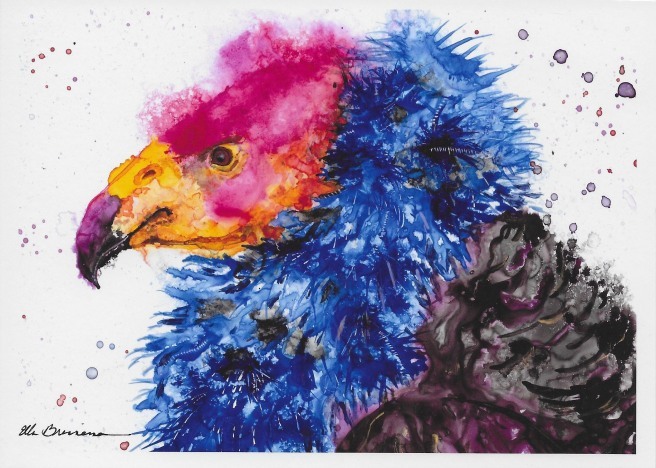 This post shows 7 more artworks concerning the California condor that I have acquired (as prints). But 1st is a photo of a remarkable mural. 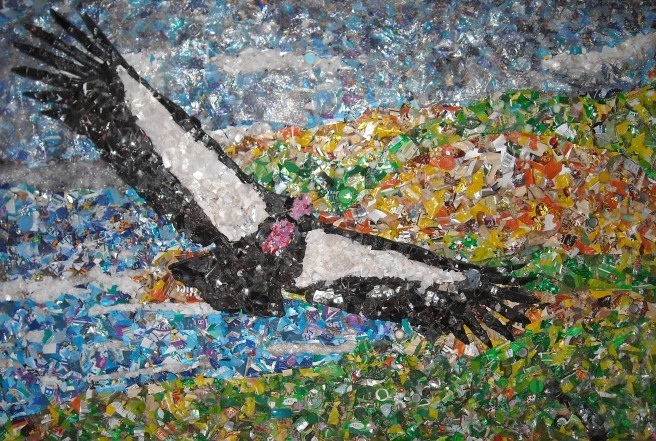 The small pieces of solid waste known as microtrash are consumed by California condors and pose a significant threat to the birds’ health and survival. The mural photo was kindly provided to me by the Ventana Wildlife Society. 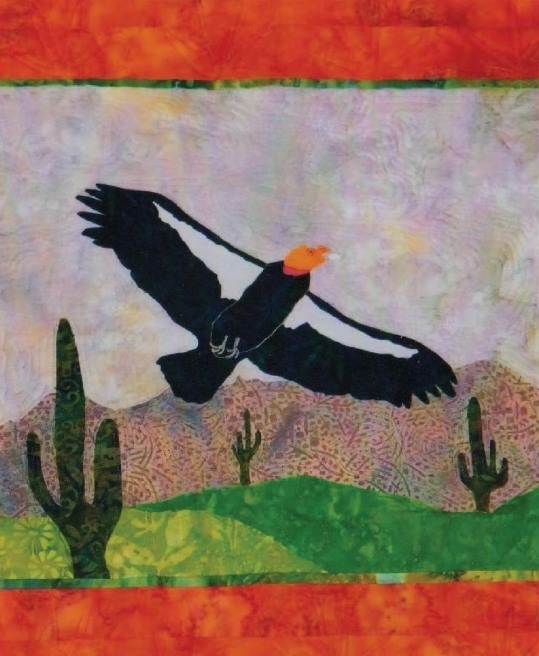 The full quilt includes 12 squares, each featuring a different animal. 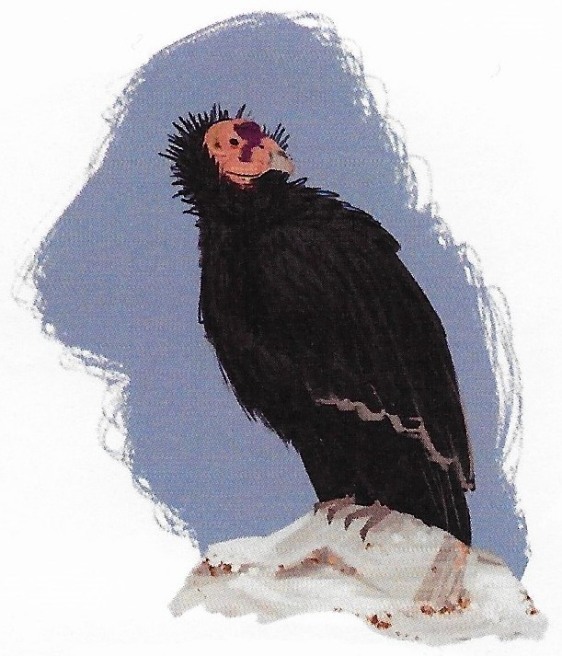 The pattern, which comes with an essay about the California condor, is available from Raspberry Lane Crafts. 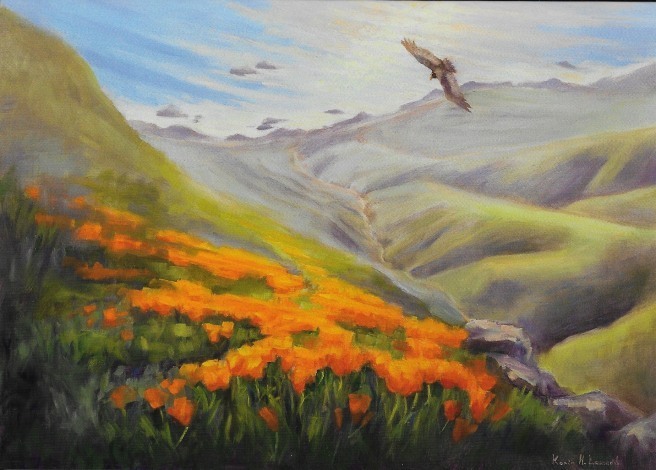 Leonard’s painting, inspired by Garrapata State Beach (Monterey County, California), also shows California poppies, the state’s official flower. 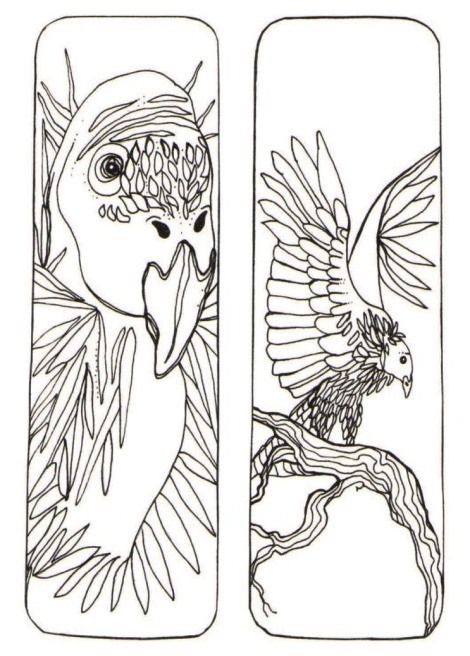 The artist notes that the California sea lion, tule elk, and Chinook salmon shown here were, historically, important food sources for the California condor. 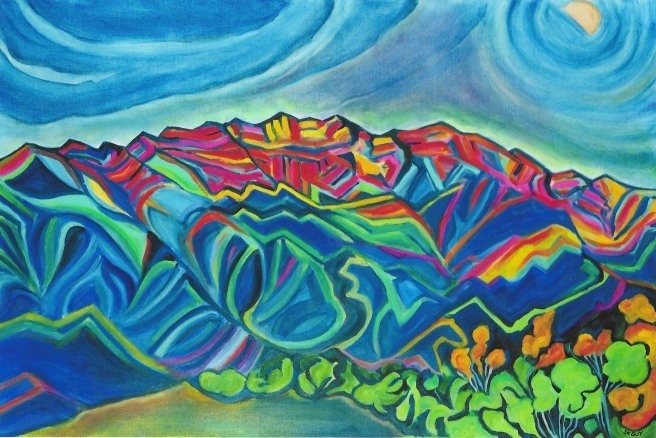 My expressionist landscape paintings are inspired by the nature surrounding Ojai…. 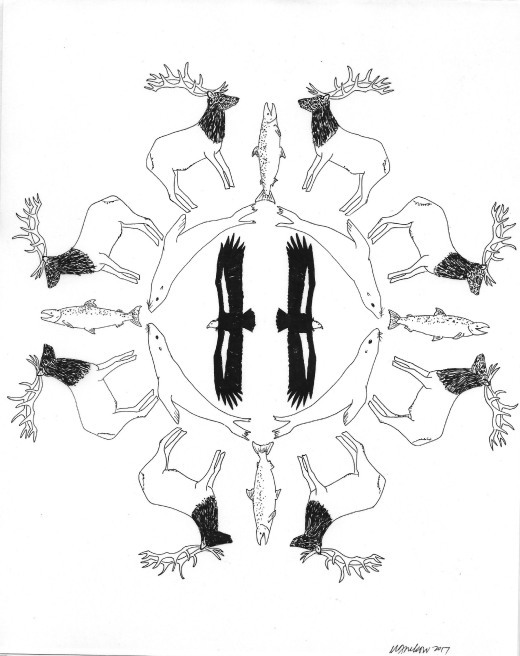 It is my hope that my work will inspire others to appreciate nature and promote environmental conservation. For more on microtrash, the material employed for the mural shown above, see the post An early report of death due to microtrash. 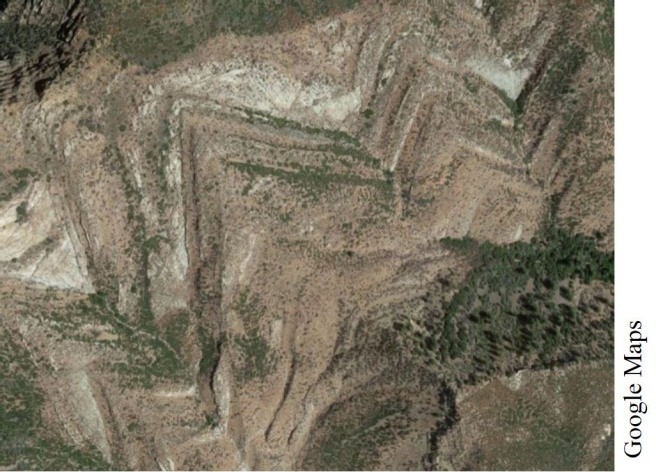 For more images of where California condors live, see Illustrations & photos of habitat: 1880s-1990. For more artwork, click on the Art/Craft tag (somewhere on this screen, depending on your device).